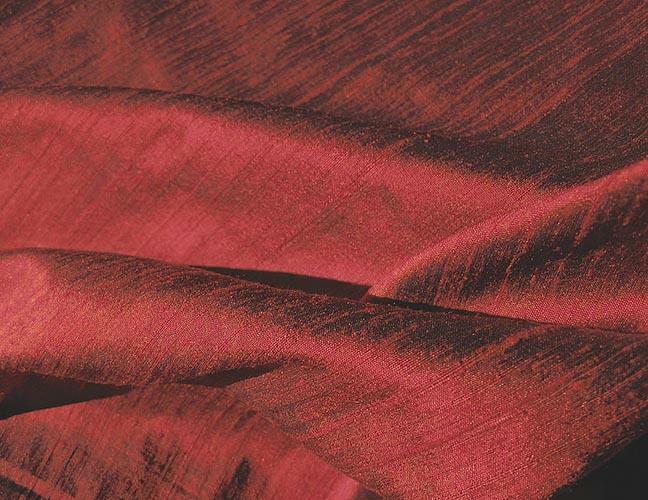 A brilliant sheen makes this deep red iridescent silk dupioni fabric sparkle. 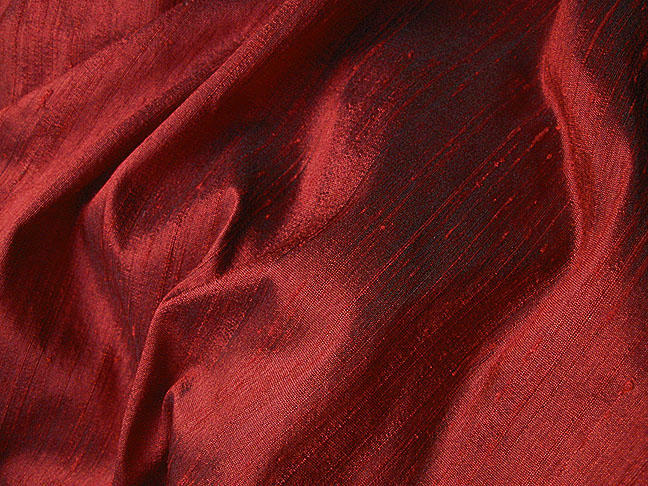 The silk has cross threads of black and a red that seems to be a combination of deep burgundy and tomato. 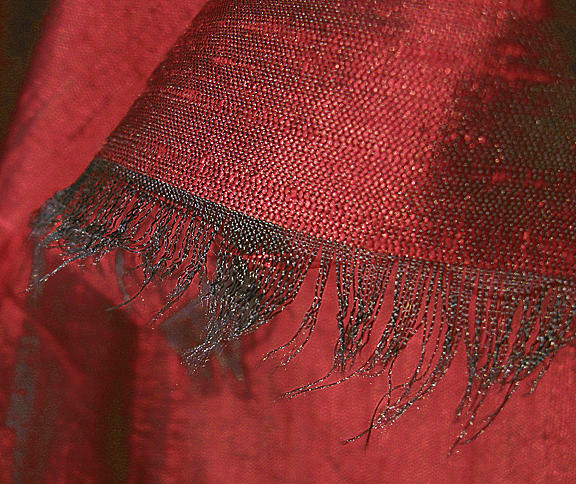 The black warp provides excellent contrasts and depth to the color, but because the silk is extremely reflective, the color can appear lighter than it really is. I photographed a larger piece of the silk in a variety of natural light conditions, all without flash, and the remnant is 21" wide x 12" long.